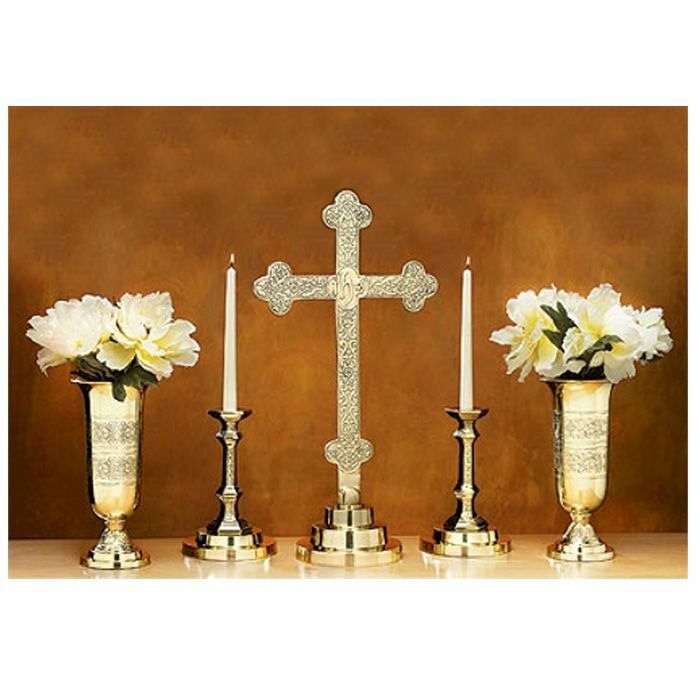 Filigree Altar Ware is made of solid brass and looksbeautiful on your altar! 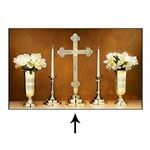 Solid brass Altarware with Filigree design will add beauty to your sanctuary! 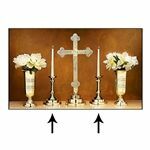 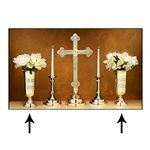 Cross, candle holders and vases can be purchased as a set (part number KAWFSET) or sold separately.